"I feel... sad... like if something terrible had happened..." You've woken up alone, lost and trapped in a mysterious place in the middle of nowhere and the only way to escape seems to be moving forward, but... do you really want to know why are you here? This is a first person mystery adventure that was first on mobiles in 2016. 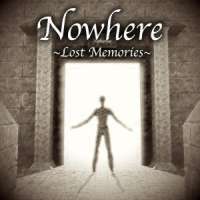 An immersive game about exploration and discovery that will puts you in the role of a mysterious character who will have to delve into this strange place exploring each area and solving the different enigmas in order to discover the truth. But something dark hides behind this place, you are not the only one who has been here before.